Cashoclick is a new, multi-language free membership PTC website that is available worldwide. 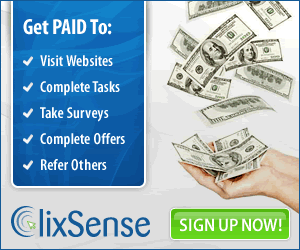 Members earn money by viewing the ads of their advertisers on a given time. The earned amount of members is determined by their membership, the type and quantity of visits they made, their number of referrals (up to level 5) and the number of websites visited by their referrals. The minimum amount of $2 on the first cashout and increases by $1 for every cashout until the fixed minimum amount of $10 is reached. Payment is given in 48 hours, Mondays thru Fridays, after making a payment request. A good Alexa ranking, Cashoclick may be a PTC site to look into in spite of being new. Members receive their charts monthly that demonstrate the site’s transparency. © 2015 P2C Reviews. All rights reserved.